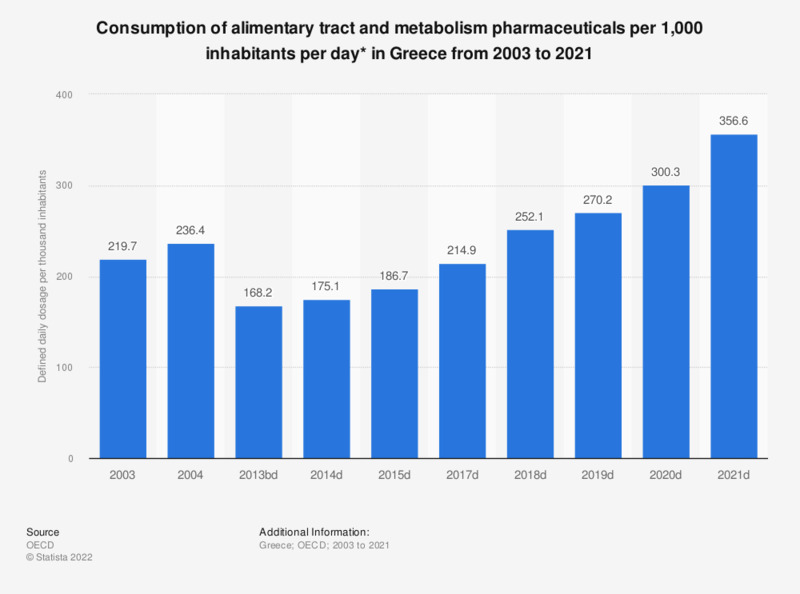 This statistic displays the consumption of alimentary tract and metabolism pharmaceuticals in Greece from 2000 to 2004. In 2004, the defined daily dosage of alimentary tract and metabolism pharmaceuticals amounted to 236.4 per 1,000 inhabitants per day. * Defined daily dosage per 1,000 inhabitants per day.